In the 1900s, NASA used the imagination of painters and illustrators to appeal to the public in an easy-to-understand manner. Nowadays, in place of painters, etc., ' game developers ' become NASA's collaborators and play the role of inspiring children's 'interest in space' to become the next generation engineers, scientists and astronauts. And, How we get to next reports scientific news leading to the future. 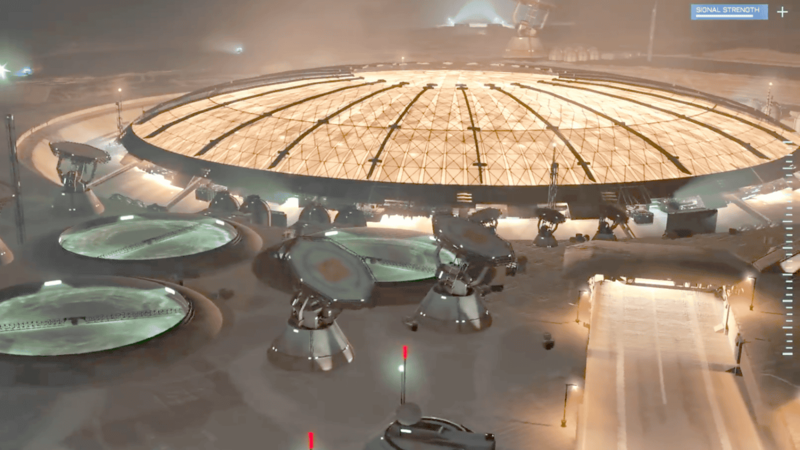 Mr. Jeff Norris, who is responsible for the mission operations reform division of the NASA's Jet Propulsion Laboratory (JPL) , is a real-time strategy game ' Homeworld: Deserts of Kharak ' in which a huge spacecraft is battled on the desert planet Kharak. 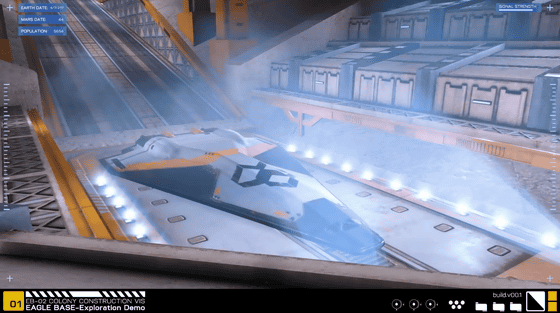 Through, you will interact with Vancouver's game developer Blackbird Interactive . Blackbird Interactive will develop the ' Project Eagle ' game that simulates Mars's base plan, referring to documents and mission plans provided by NASA. Project Eagle is available to play for free on Steam. In the following movie you can check what happens to the Mars colony drawn in Project Eagle. The underground part is hundreds of meters and houses bio-farms, nuclear reactors and launch sites. 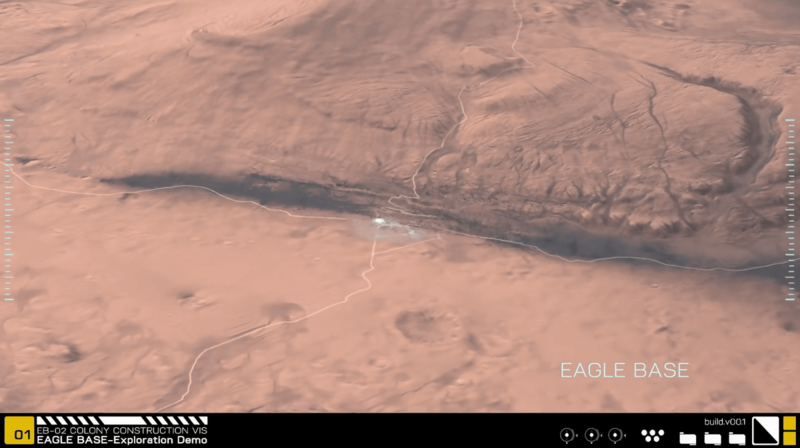 It is said that the topography of Mars appearing in the game uses the topography data of the actual Mars sent from the multi-purpose spacecraft Mars Reconances Orbiter which keeps observing in the orbit of Mars. In the early days of Project Eagle's development, a shuttle ship operating regularly on Mars and the Earth was designed with the image of a space shuttle, but NASA says, 'At the atmospheric pressure of Mars, that design can not provide lift for takeoff.' We point out from the technical side. 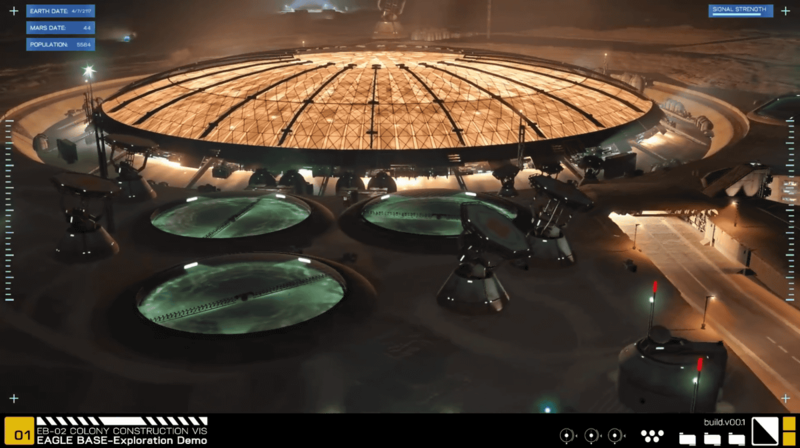 In response to these points, Blackbird Interactive has refined 'technical realism', but not all '100% real', and is designed to inspire 'interest in space' Seems to be the top priority. 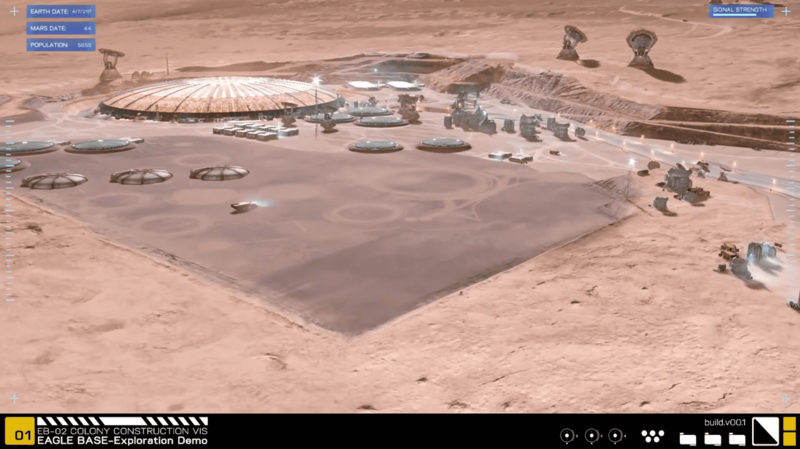 The work completed with the cooperation of NASA is jointly developing with Microsoft the VR software 'HonLens for HoloLens' that works with Mars rover ' Curiosity ' as well as Project Eagle and supports remote work on Mars. .